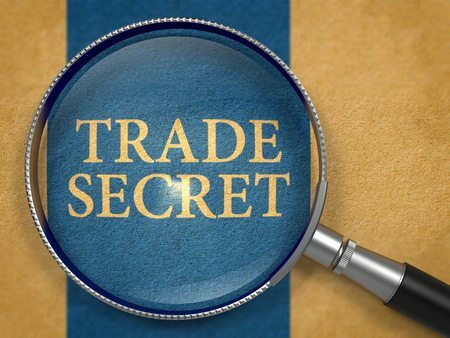 What is a trade secret? Do I (or my company) own any trade secrets? If so, how do I enforce my trade secrets? In order to answer these questions, it is very important to understand the Defend Trade Secrets Act of 2016 (DTSA) and its various protections and obligations. The DTSA creates a federal cause of action for trade secret misappropriation that mainly mirrors most state law under the Uniform Trade Secrets Act. An owner of a trade secret that is being misappropriated may bring an action under the DTSA if the trade secret is related to a product or service used in, or intended for use in, interstate or foreign commerce. the information derives independent economic value (actual or potential), from not being generally known to, and not being readily ascertainable through proper means by another person who can obtain economic value from the disclosure or use of the information. The DTSA also specifically defines what is meant by the term “misappropriation” of a trade secret and provides examples of what constitutes “improper means” to acquire knowledge of the trade secret. In order to understand these terms and effectively navigate through the DTSA, it is essential to work with an experienced trade secret law attorney. There are several responses that you and your company should be thinking about in light of the DTSA. First, you should update all of your employment and non-disclosure agreements to incorporate the appropriate provisions from the DTSA, such as those pertaining to whistleblower immunity. Second, you should determine what information (if any) could be considered a trade secret. Third, you should evaluate the protections in place to maintain the confidentiality of those trade secrets. Lastly, you should develop a course of action for the potential misappropriate of your trade secrets. Let Traverse Legal’s experienced trade secret attorneys guide you through the Defend Trade Secrets Act and assist you with identifying, protecting, and enforcing your trade secrets and other intellectual property. Give us a call today at 866-936-7447 for a free consultation regarding your trade secret needs.